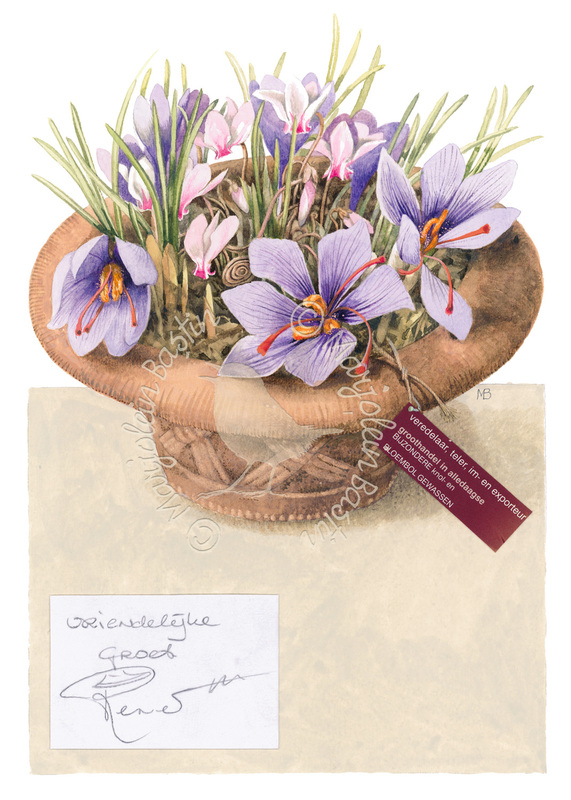 This bowl of Saffron crocuses and Cyclamen is one of the many great memories I have of my exhibition at the Noordbrabants Museum in the Netherlands. Following a busy day telling stories and signing autographs we said our goodbyes at the entrance to the museum when a gentleman suddenly entered from outside. “These are for you, as a thank you.” Now this bowl sits outside my studio on a table, I love it!